Functions similar to a colander. Allows for food products to drain or become a resting place so that food doesn't have to sit on the bottom of the pan. 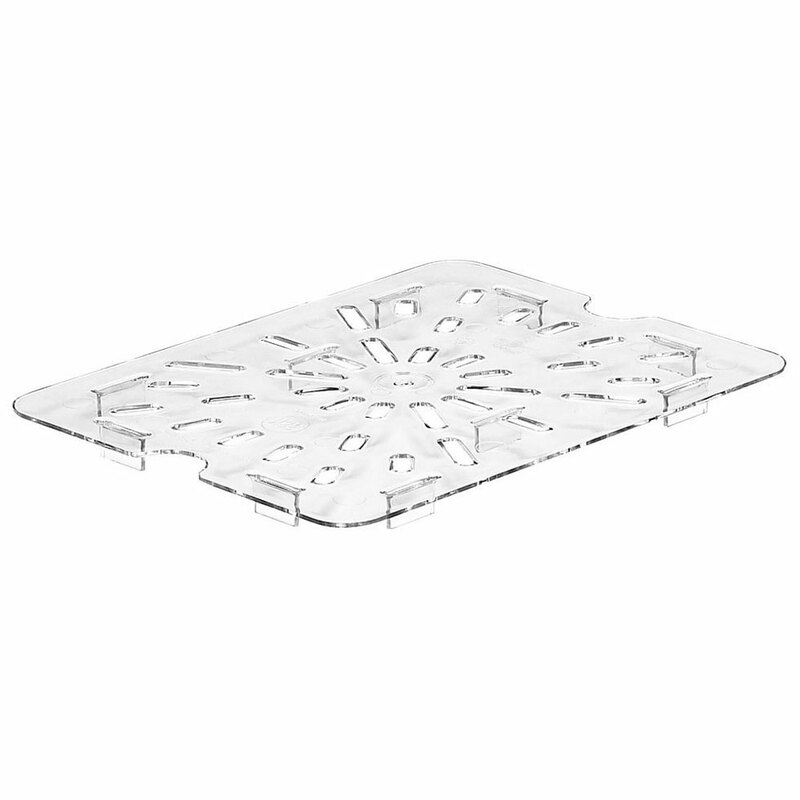 Made of polycarbonate to prevent cracks or breakage and can withstand temperatures ofÂ -40Â°F to 210Â°F.